Fact: Children learn best when they are having fun. Fact: Adding food to hands-on science creates a memorable experience. 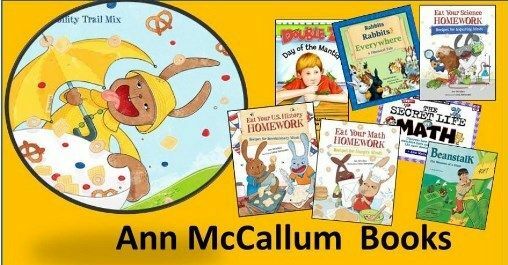 Conclusion: Eat Your Science Homework from Ann McCallum Books is a fun, engaging way to learn about chemistry that is sure to be revisited over and over again. 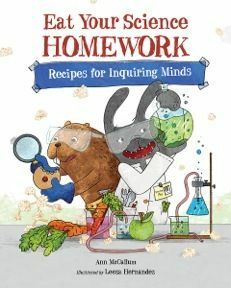 Eat Your Science Homework: Recipes for Inquiring Minds is an excellent tool to introduce children to chemistry. Through colorful, information-packed pages and fun (and tasty!) hands-on science experiments this book is delightful to read and fun to use. What can you learn from Eat Your Science Homework? As you can see, a great deal of information is covered in the book. With each new concept comes a yummy recipe to help you and your child see the science in action. I read the entire book before handing it to Julia, my 7th grader, and asking her to read it. Being that the book is about 45 pages long, we both read it in the same day. Mind you, I don’t recommend just zooming through the book. Take your time! It’s a wonderful resource that can be pulled out when it’s time to add in some fun hands-on science. It can accompany any chemistry curriculum. Once read, Julia had the responsibility of choosing an experiment for us to do. She chose Atomic Popcorn Balls. First, she mixed the ingredients. Then, we combined our popcorn and colored goo, and rolled everything into balls. Finally, once they were hardened, Julia created some molecule models using the colored popcorn balls. And of course once we were finished, we shared. Everyone agreed. . . they were yummy! We had everything needed for the experiment on hand. As I read through the experiments, I checked the ingredients lists and pretty much everything is a common household item. We had a wonderful time making these together AND learning some science along the way. I highly recommend this book to any family wanting to inject some fun into their normal science routine. Thanks for sharing this, Jeniffer. I love the pictures, especially the one with the labeled molecules. This looks like it turned into a super fun learning experience!